I know it seems like a lot of ingredients, but it’s really easy. I promise! 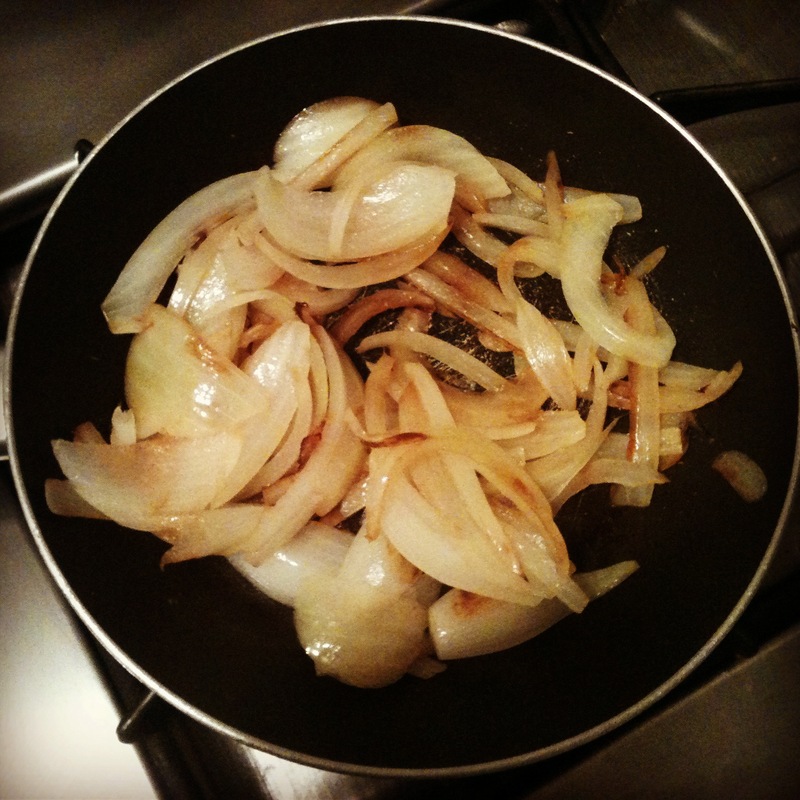 Slice onion and sauté in coconut oil on medium-low heat for 15 minutes, or until soft and slightly caramelized. Add minced garlic during last 5 minutes. While the onion and garlic are cooking, wash veggies, slice and halve squash (like half moons) and cut broccoli into small florets. Set aside. 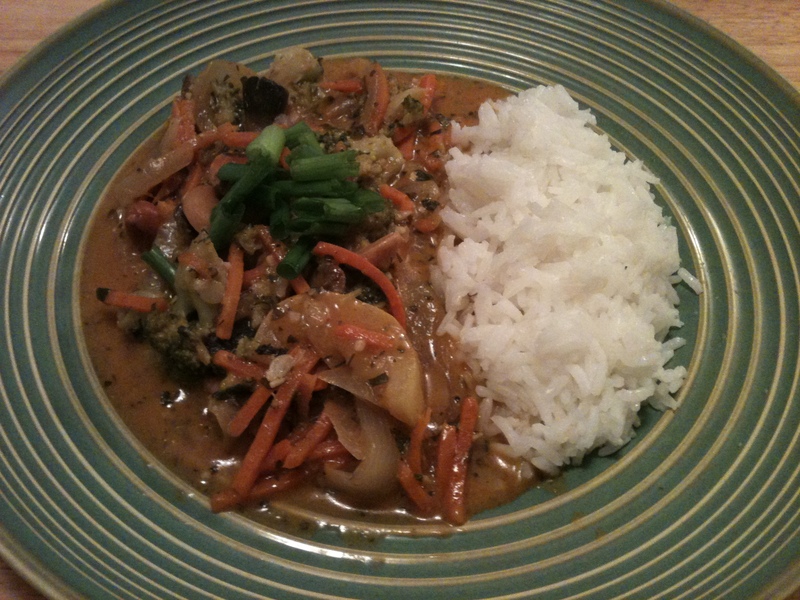 In a large pot, mix coconut milk, red curry paste, brown sugar, ginger powder, basil, dill, water, and a dash of salt and pepper and begin cooking over low heat. While cooking, slice the scallions. 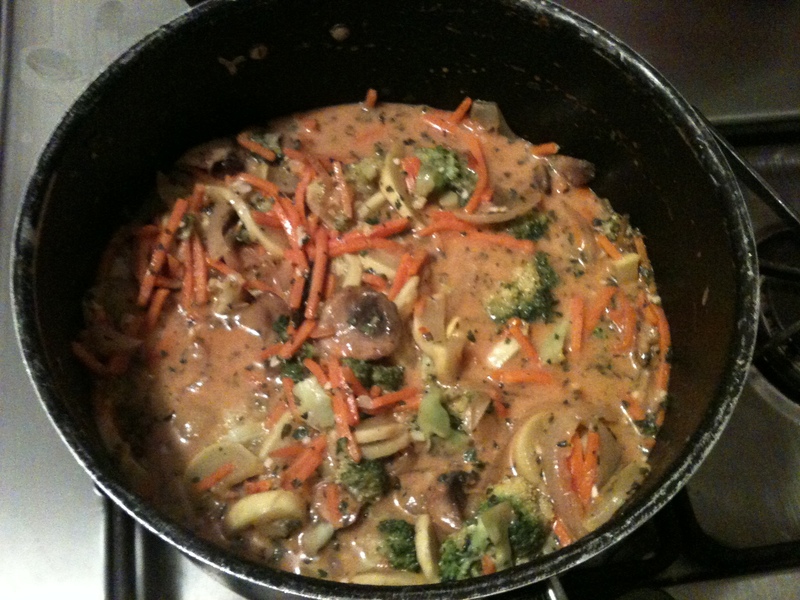 Add vegetables and cashews into sauce, turn heat to medium-low, and let simmer 30-40 minutes. Cook rice according to directions. 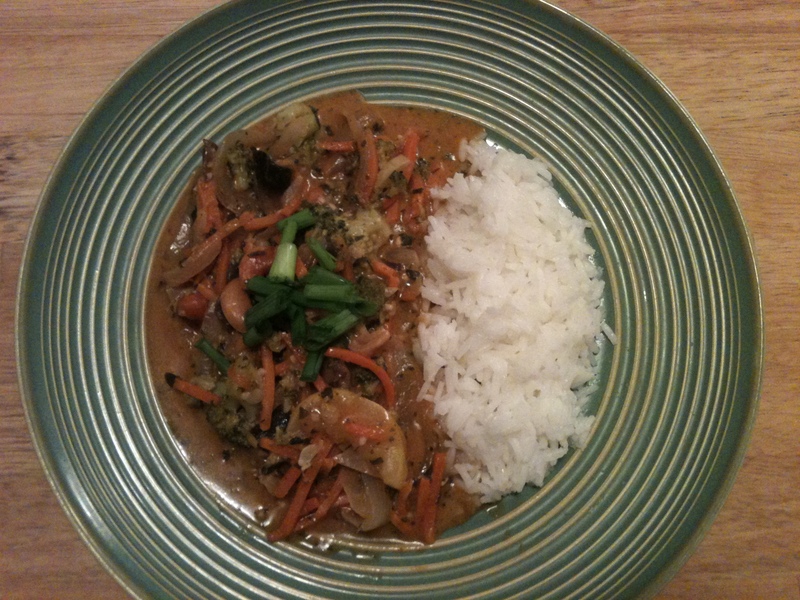 Add scallions on top of curry, serve and enjoy!